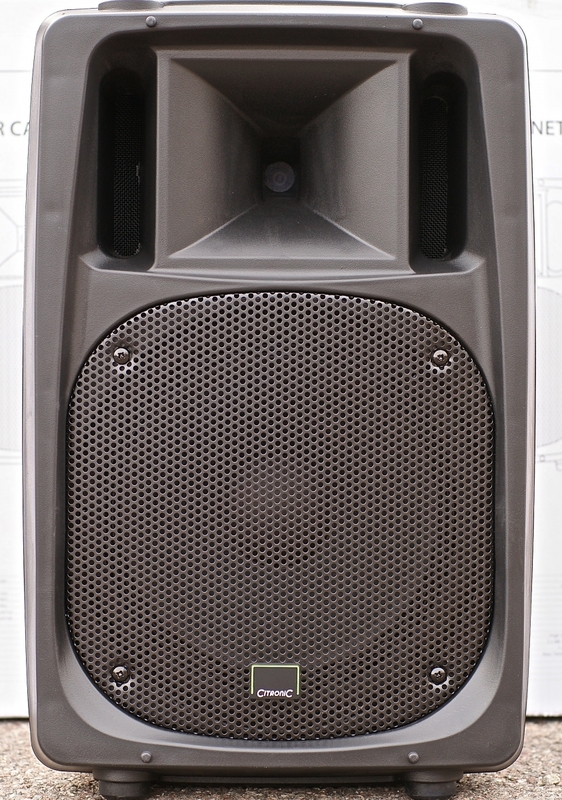 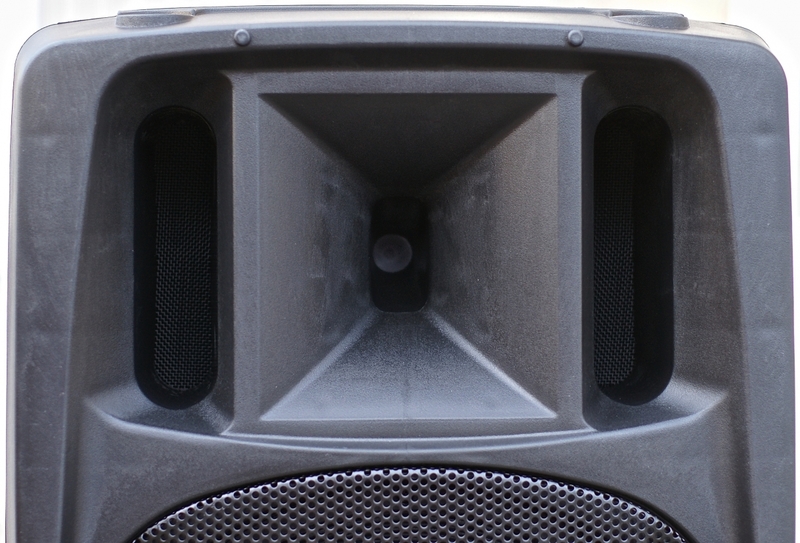 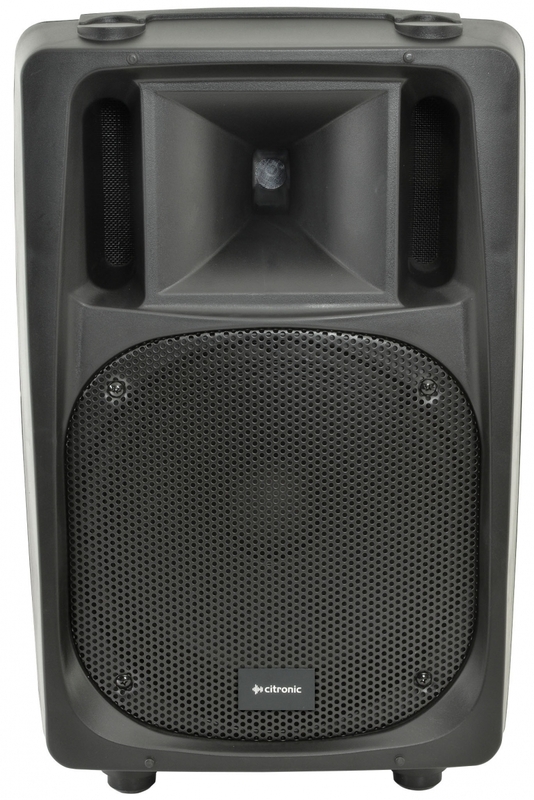 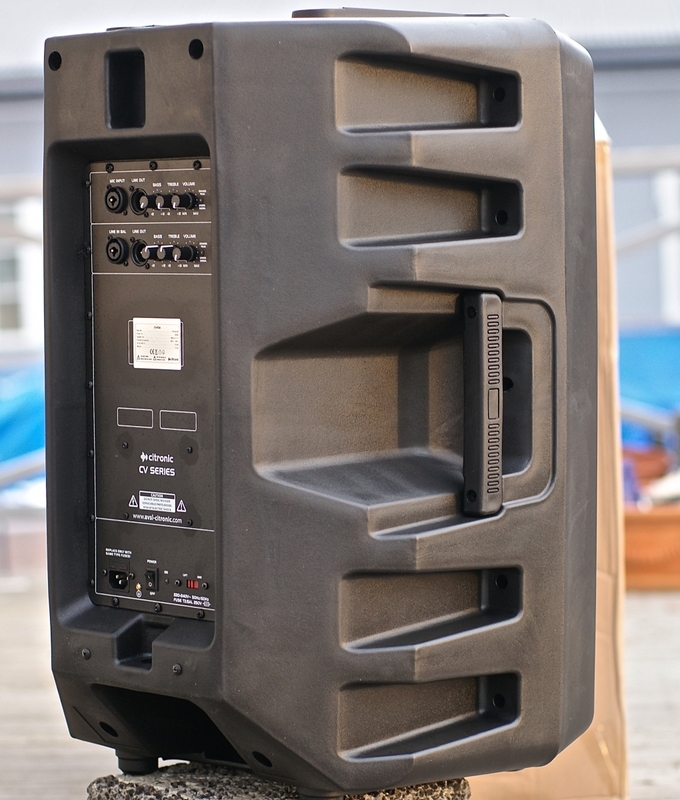 High power output full-range active speaker with high impact polypropylene enclosures. 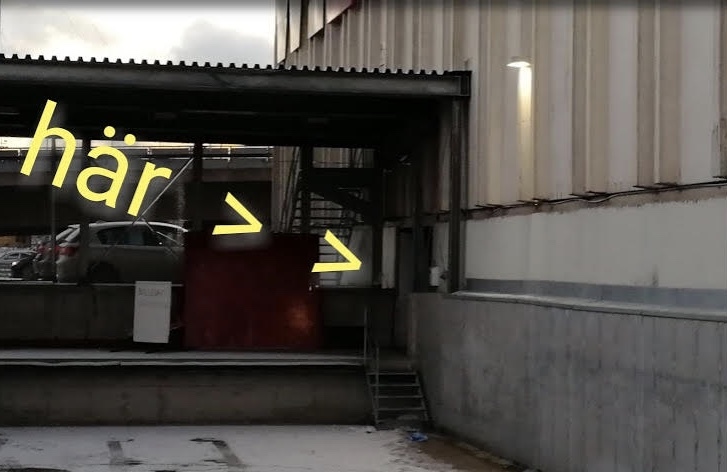 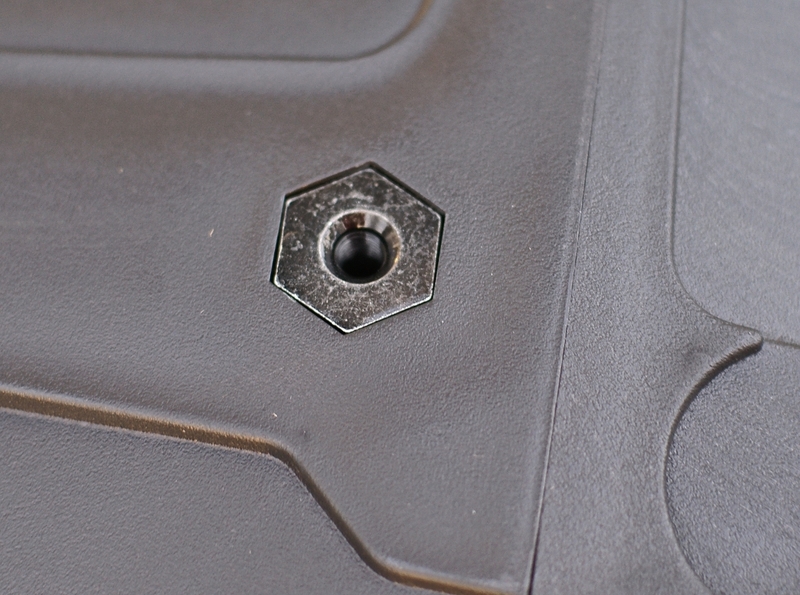 High spec. 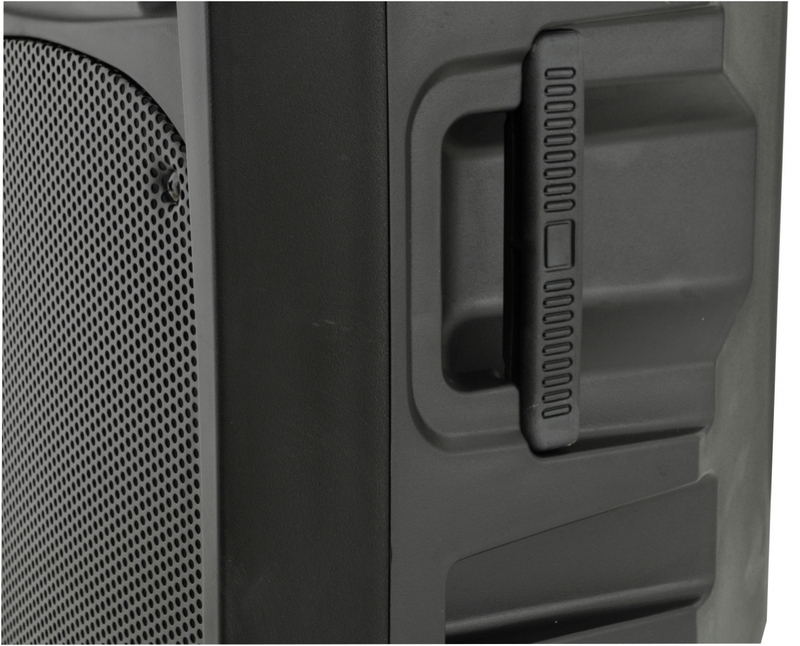 driver components are coupled with digital amplifier modules to develop high SPLs from the compact and lightweight cabinet design. 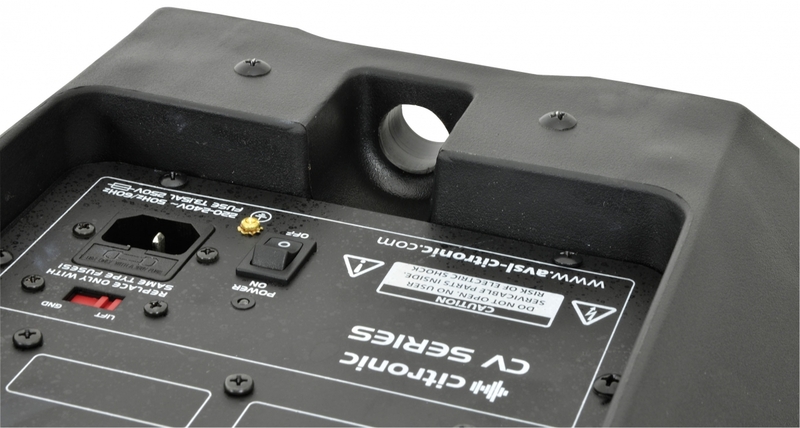 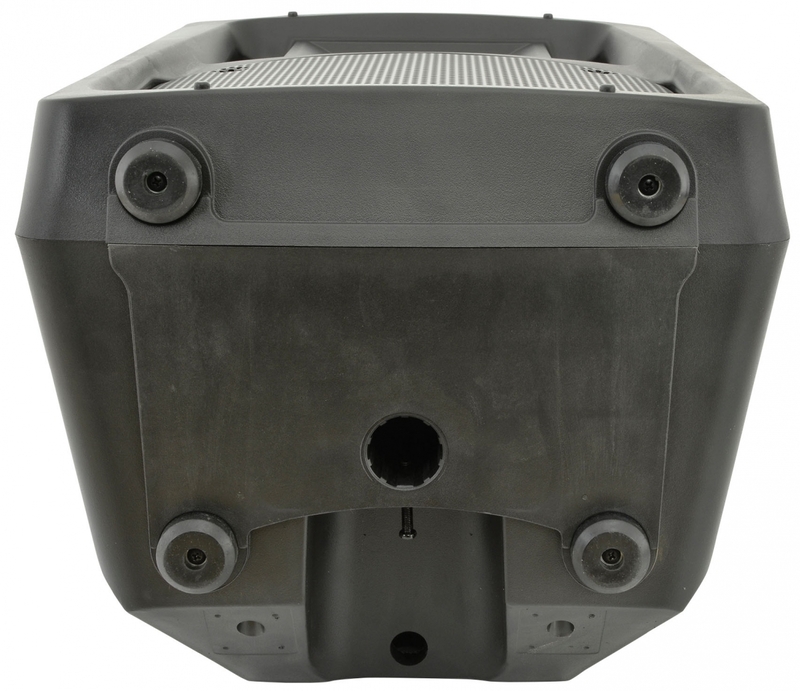 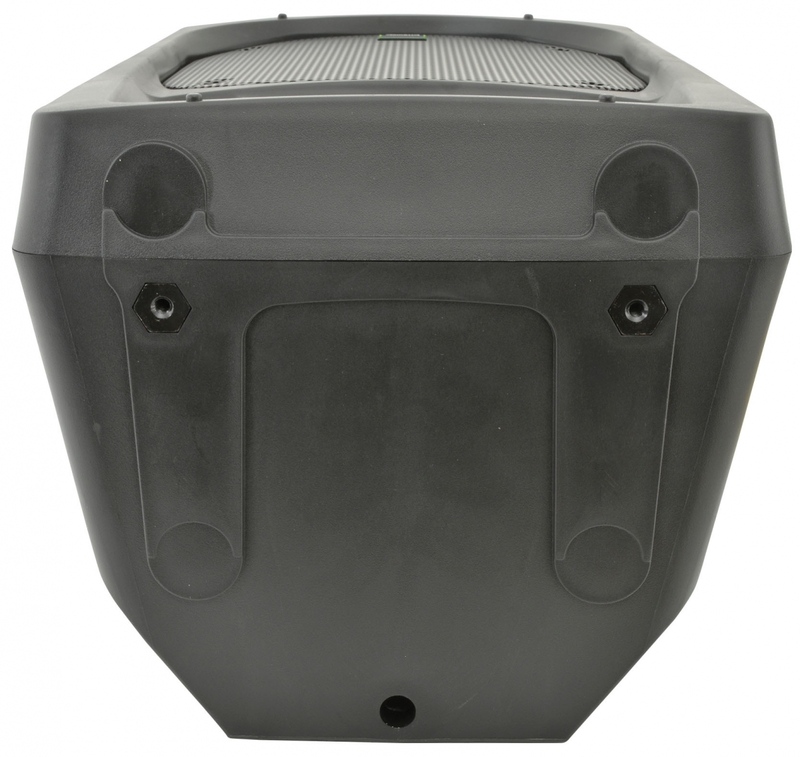 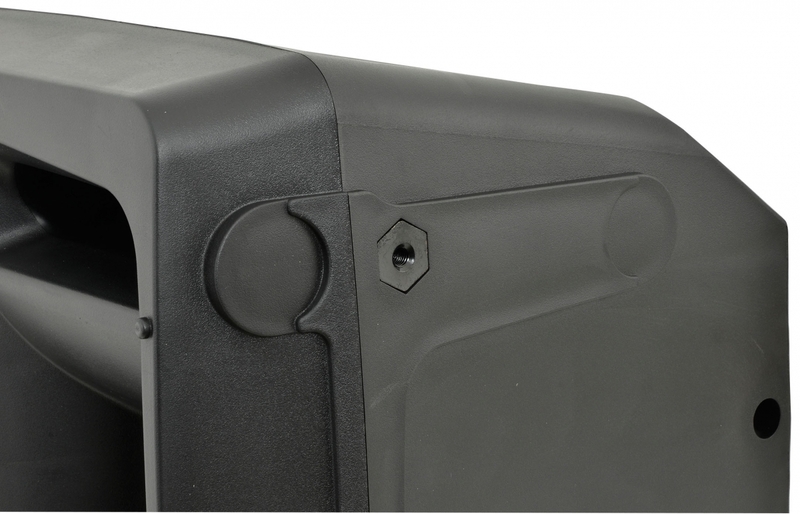 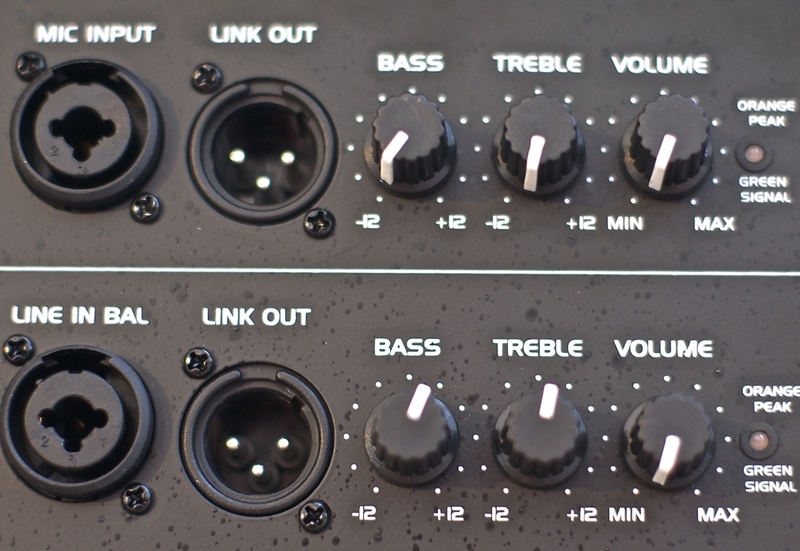 The precision injection-moulded housing is shaped for use in stacks, arrays or as wedge monitors. 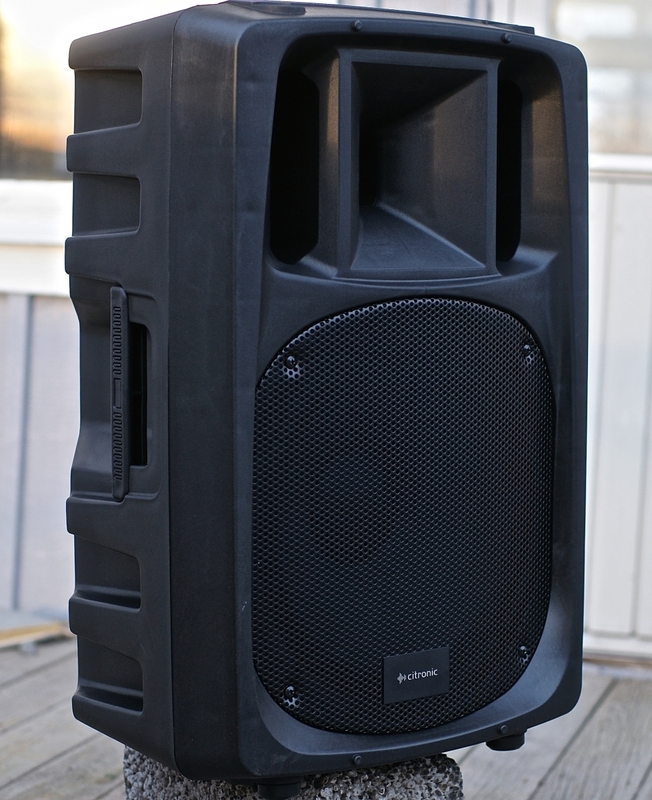 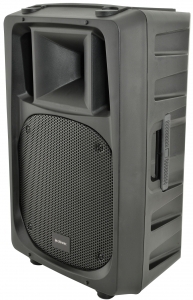 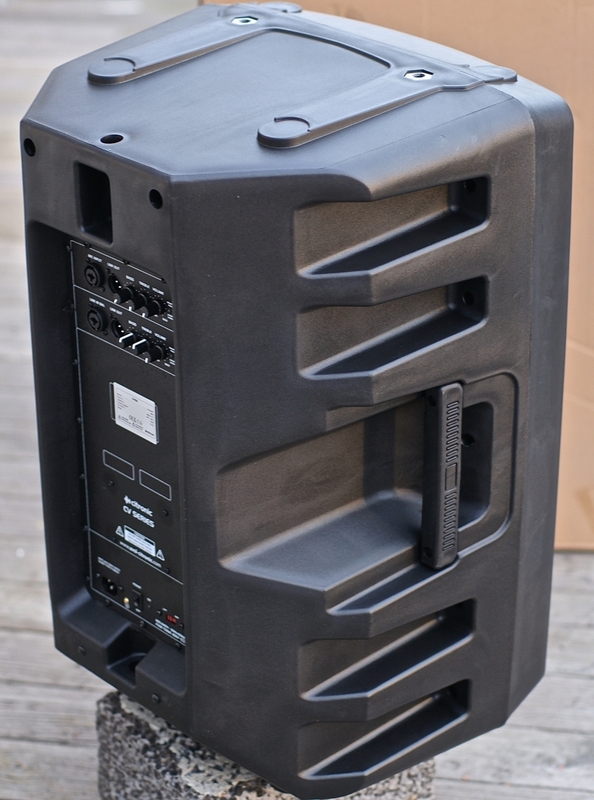 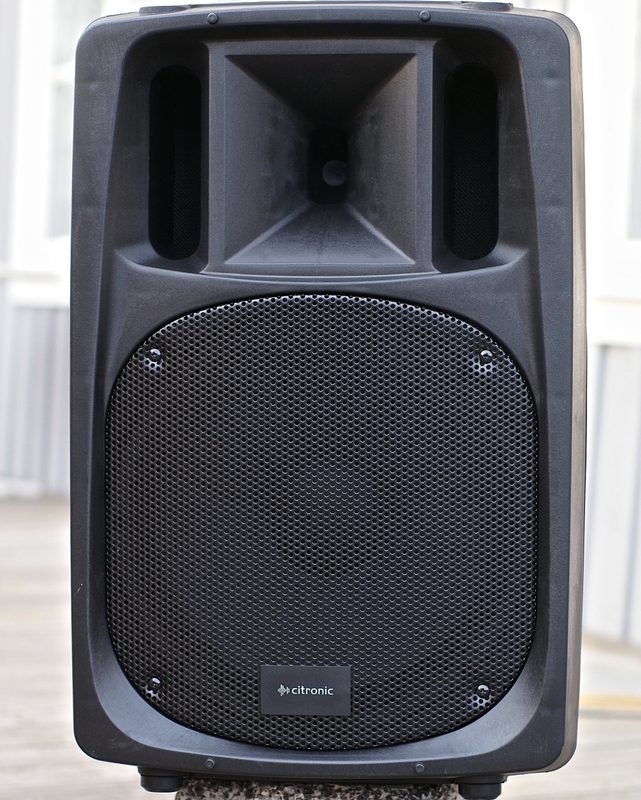 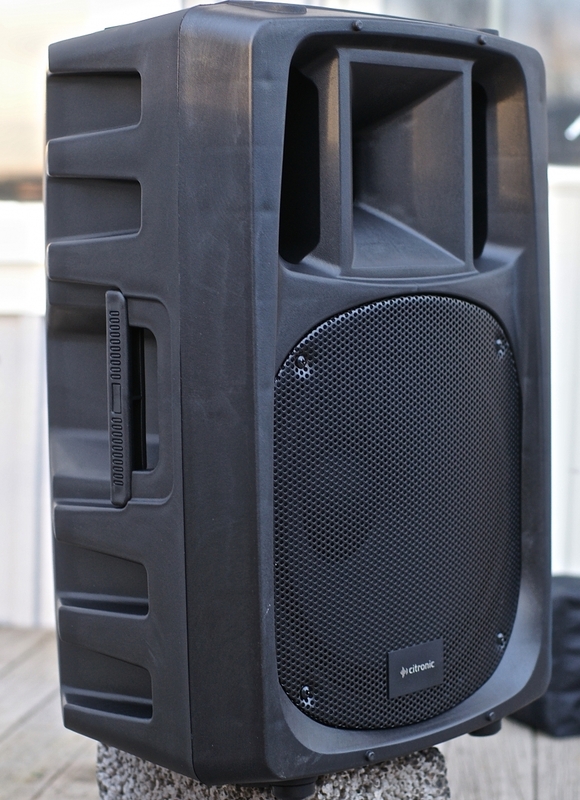 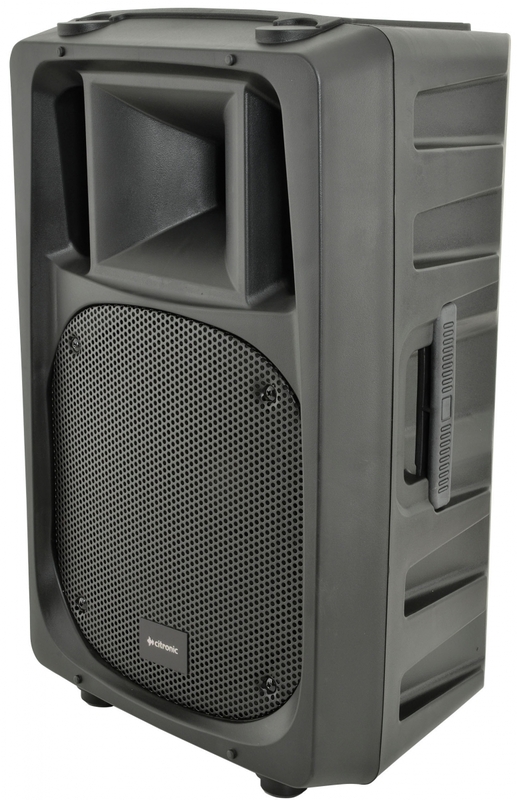 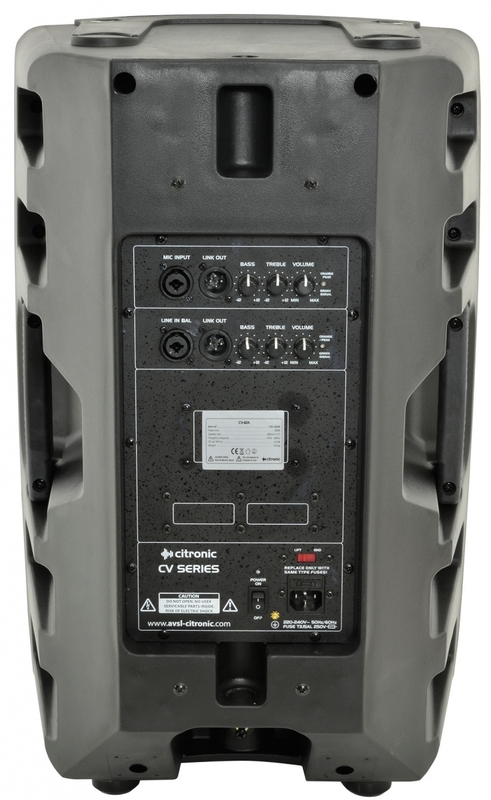 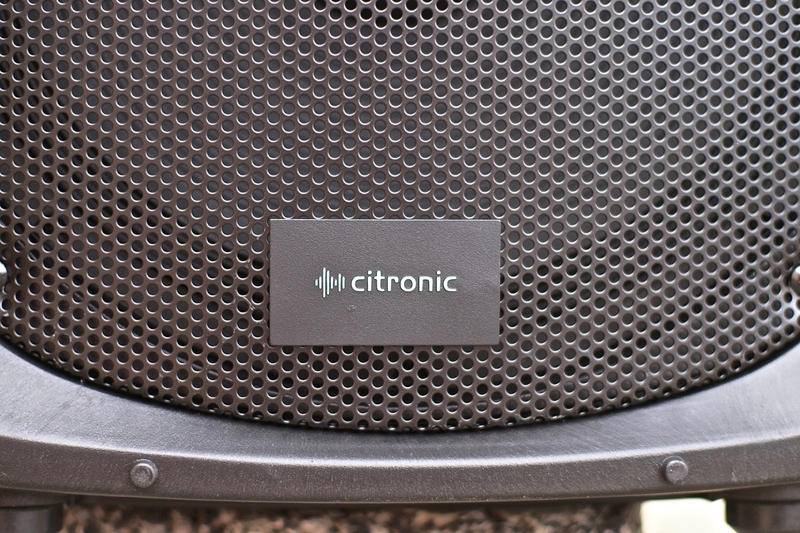 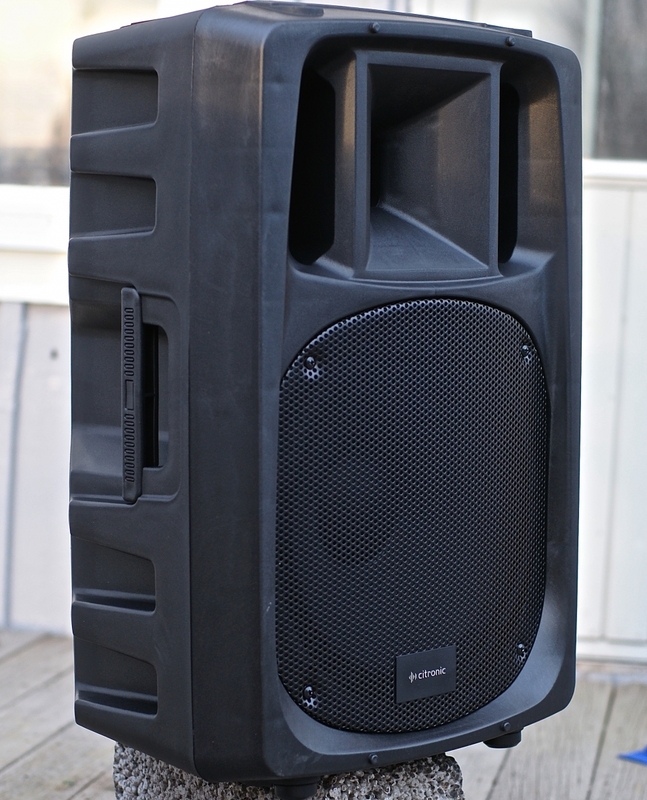 Complete self-contained components designed for high energy sound reinforcement situations.